Last year I was on a romance panel at the CALEB Christian Writing Conference with ACW members Mary Hawkins and Andrea Grigg. We discussed the faith element in Christian romance novels and the power of story to share spiritual truths with our readers. Many Christian fiction writers have a strong desire to share their faith with readers through the lives of their characters. Jesus used parables and stories to teach his disciples and followers Biblical truths. An important question all Christian fiction writers should ask is why do I want to write Christian fiction? I’m a storyteller and I love creating stories for the characters who live in my overactive imagination. My faith is an integral part of my life, and the hero and heroine in my contemporary inspirational romances each have a spiritual story arc. Their faith grows and matures during the story. A criticism that’s often leveled at Christian fiction is the books are preachy and bang the reader over the head with a faith message. How can writers avoid being preachy? The writing craft technique of showing the story rather than telling the story is a practical way to address this problem. It’s rare to read a long narrative conversion scene in Christian fiction books published in recent years. I believe the fundamental answer to the preachy fiction question relates to a writer’s motivation. Story rules, irrespective of genre. Writing a beautifully crafted story that entertains readers should be our primary goal if we’re writing for publication. Readers pick up a fiction book because they want to be entertained and escape into a great story. They may prefer a lighthearted story, or a story that tackles deeper issues, but a well written story is always an essential ingredient. During the romance writing panel, I generated a collective gasp in the room by voicing the following statement: If your main goal for writing Christian romance is to share your spiritual message, do the romance readers a favour by writing your message as non-fiction. Readers who are looking for answers to specific spiritual questions usually turn to the Bible, their pastor, or non-fiction sources. If you visit a typical Christian book store in Australia, you’ll find eighty plus percent of the shelf space for books is Bibles and non-fiction books. I occasionally read Christian fiction stories that tackle issues. Story can be an effective way to teach us how to empathize with people who are in difficult situations. Through their point of view we can gain valuable insights into how they think, feel and respond in specific circumstances. We can experience their emotional roller coaster and cheer them on as they seek to overcome problems and obstacles in the story. In my new contemporary inspirational romance release, Her Tycoon Hero, the story touches on alcoholism and addiction issues. Alcoholism is an element in the story and my heroine, Cassie, is a recovering alcoholic and new Christian. But, the core story is the developing romance between Cassie and Ryan. Cassie’s alcoholism and past behaviour has created problems that impact the story. One example is her difficult relationship with her father. He struggles to believe that she has changed and her faith has made her a better person. Set on proving to everyone that she's no longer a party girl, Cassie is focused on her career as an event planner. But her dad's top executive, Ryan Mitchell, proves to be a handsome distraction. Especially when someone from Cassie's wild past tries to get her tangled in the life she's worked hard to escape. Ryan is taken with his boss's beautiful daughter. But having been fooled by a brother who ran in her same circles, he is slow to trust. When Cassie's newfound faith works its way into his heart, Ryan soon finds he wants to claim both her faith and Cassie as his own. 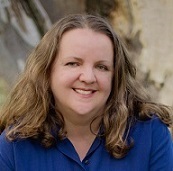 NARELLE ATKINS writes contemporary inspirational romance and lives in Canberra, Australia. She sold her debut novel, set in Australia, to Harlequin's Love Inspired Heartsong Presents line in a 6-book contract. Her debut book, Falling for the Farmer, was a February 2014 release, followed by The Nurse's Perfect Match in May 2014, The Doctor's Return in August 2014, Her Tycoon Hero in November 2014, Winning Over the Heiress in February 2015, and Seaside Proposal in May 2015. Do you have a favourite issue-based story? Is there a particular Christian fiction book that has touched your heart and encouraged you in your faith journey? I’d love to hear your thoughts and experiences. 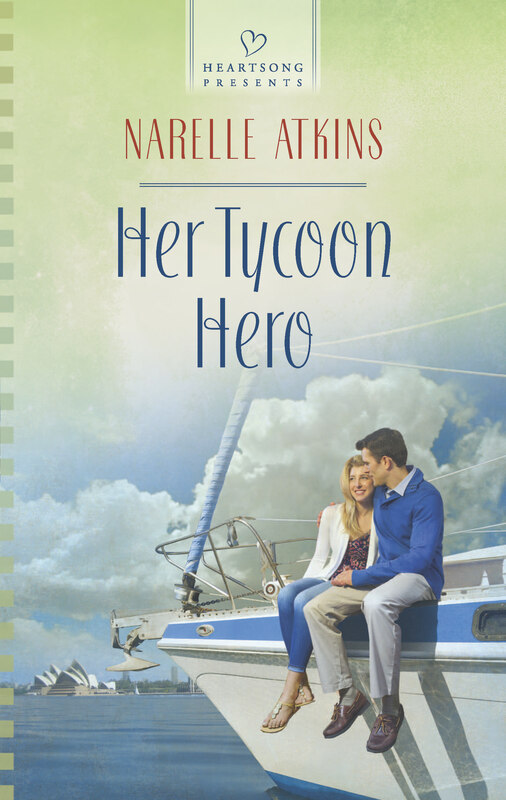 To celebrate the official release of Her Tycoon Hero yesterday, I'm giving away one print copy (worldwide, wherever The Book Depository delivers) to a reader who leaves a comment on this post and enters the Rafflecopter giveaway below. I think it was interesting the way you tackled Cassie's alcohol addiction, Narelle. You simply showed her struggle in times of stress and how it affected family relationships. Well done. Thanks, Rita :) I appreciate hearing your thoughts. Hi Deanna, I'm really glad my publisher chose the yacht and harbour theme for the cover. I hope you'll have a chance to read Cassie's story. Good luck in the drawing! I like the cover too. So relaxing. I bet it's a great story! Hi Sonja, We can all dream about relaxing on a yacht on Sydney Harbour :) I hope you'll have an opportunity to read my book. Good luck in the drawing! I've recently read Writing in Obedience by Terry Burns and Linda Yezak, which goes into the different groups Christians can writer for (believers, unbelievers, backsliders and seekers). Most Christian fiction is aimed at believers, and we can be hesitant to step outside our bubbles to see the "real world" with it's problems, like alcohol or drug addiction. It's good to see characters who face these problems, and I enjoy reading issues-based stories--I don't think I can name a favourite, but Words by Ginny Yttrup springs to mind, It was excellent. Hi Iola, I've heard Words is a great read. One issue-based Christian fiction book that comes to mind is The Atonement Child by Francine Rivers. An excellent story that makes a very clear statement on the issues that are addressed in the book. I'm not sure I can think of an issues-based story, though for some reason "Blowing on Dandelions" by Mirralee Ferrel comes to mind...and only because of the personal family issues the main character dealt with with her mother. I know we all can have issues with family members, but this one was particularly close to home to me and I loved how it all worked out in the end. "Her Tycoon Hero" sounds like a good, raw read...looking forward to it! Thank you for the giveaway and the chance to win. Kelly, I've read Blowing on Dandelions, and I think that's a good example. I liked how the author used a historical setting to bring to light issues that are still relevant today. Hi Kelly, I haven't read Blowing on Dandelions and it sounds like a fascinating story. I hope you'll have a chance to read Her Tycoon Hero :) Good luck in the drawing! Love the way you think and love the way you write, Narelle. That's it - end of story! Thanks, Andrea :) I love our three hour phone conversations, too!